The engineering industry has long been creating and building successful projects for the world to see, and this can be seen throughout other industries such as within the automotive and aerospace sectors. We could go on listing the incredible achievements engineers have brought to the modern world, but it would just be too long! At Airedale Springs, we understand the importance engineers bring, which is why we want to share with you the engineering behind the UK’s largest bridge. 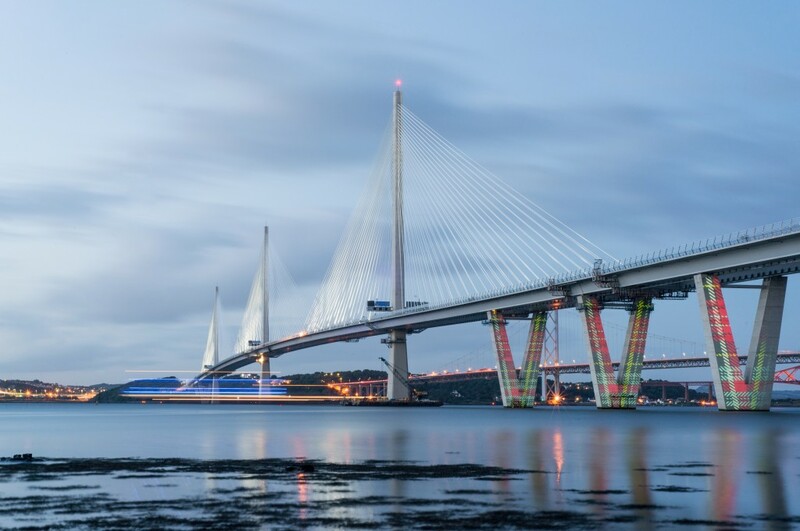 Scotland now homes the UK’s largest bridge, the Queensferry Crossing, which has taken 10 years to build. This is the biggest infrastructure project that the country has seen in a generation! This is the third and the biggest bridge to connect Lothian and Fife, towering 689 feet above the river Forth. This huge project has taken 10 million-man hours to build, 23,000 miles of cable, involved 35,000 tons of steel, and it is expected to serve 24 million vehicles a year. 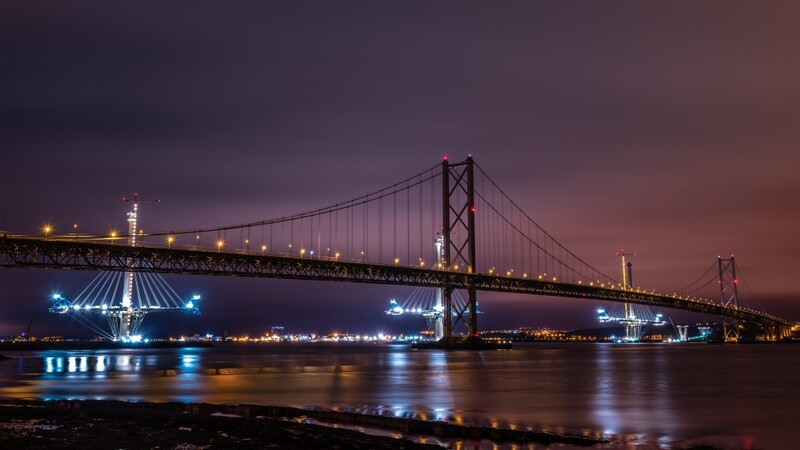 The bridge’s opening was 53 years since the opening of the Forth Road Bridge and its structural problems, which included corrosion of some steel cables, were the reasons behind building a new bridge, costing £1.35 billion. With an estimated design life of 120 years, the new bridge is expected to outlast both of its neighbouring bridges. To reduce the risk of corrosion, individual steel strands within the bridge’s supporting cables have been designed to be replaced at any time, without the bridge needing to be closed. The Queensferry Crossing has been installed with new technology that identifies potential structural issues. These sensors have been positioned to provide advanced warning of any potential structural problems, where the data will inform maintenance teams on where to inspect to resolve any issues. This combination of sensor technology and data analytics can help predict problems before they happen. The title of the world’s tallest bridge goes to Millau Viaduct in France, standing 1,125 feet high and 8,070 feet in length, but the Queensferry Crossing boasts two engineering records of its own. With the new structure, it is both the world’s longest three-tower, cable-stayed bridge, and the longest free-standing balanced cantilever in the world. After the idea first being announced in 2007, construction for this impressive piece of engineering began in 2011, with the bridge’s central tower built on the rock beneath the water’s surface. The structure includes many innovations, including an ‘intelligent transport system’ which helps manage traffic flow. In addition, it includes a line of 11.5-foot-high barriers which are positioned to protect traffic from winds. Permeable screens have been fitted to prevent severe turbulent wind conditions hitting the deck of the bridge, which will provide vehicles with protection from frequent gale wind forces, thus reducing traffic incidents and increasing safety. The engineering world will continue to produce incredible designs. Here at Airedale Springs, we have been manufacturing and giving design assistance to many clients for springs in various technologies, transforming innovative ideas and fully-functioning products for an array of sectors. For more information on the services we offer, get in touch with a member of our team today by calling 01535 643456 or emailing sales@airedalesprings.co.uk, and we will be happy to help.